Do you waste a lot of time and money shopping for clothes, only to end up wearing a whopping 30% of what's inside your closet? Do you have a style hangover from years of fast-fashion consumption that has left you feeling gross, broke, and empty inside? Are you in a place in your life where you're more interested in investing in long-lasting, quality items you can wear again and again? Perhaps you are ready to take an intentional, minimalist approach to your personal style! The Capsule Styling service was born out of a personal experiment that began when I changed sizes and realized it was going to be too overwhelming (& expensive) to replace my entire wardrobe. I read up on the Capsule Wardrobe concept, gave it whirl, and was hooked (Unfancy does a great job of breaking down the basic rules). The process of whittling down my seasonal wardrobe to about 40 interchangeable pieces (including shoes) not only made getting dressed far quicker, easier, and more creative, it also enlightened me to aspects of my personal style I wasn't aware of until I tried it! Style Clarity: When you distill your wardrobe down to ONLY the pieces you love to wear, you become very clear about what best fits, flatters, feels good: your most authentic personal style. More Time: With fewer choices, getting dressed each day takes mere minutes. You'll be able to pack your suitcase in a fraction of the time it used to take, and you will have more time to focus on what's most important to you. Increased Creativity: Having a smaller wardrobe will force you to try new combinations and color pairings that you likely never would have dreamed up otherwise. You'll look forward to your creative morning routine. Smarter Spending: When you commit to living with a capsule, you're also committing to making smarter choices when you shop. As you hone in on what works, the gaps will reveal themselves, and you will know exactly which pieces to buy that will get the most wear. First, I'll send you some prep work, including my Style Discovery Worksheets, and info targeted at honing in on the capsule that will best fit your life. We will meet in your closet to discuss your favorite outfits, why these outfits work for you, and what connects them stylistically. From there, we will select each shirt, bottom, dress, layer, and shoe that will make up your capsule, piece by piece. I will take photos of each piece and will integrate them into outfits for you in your Capsule Lookbook. Any gaps that we notice will be discussed (like if you have a shirt shortage, or need a specific color of shoes to make more outfits work), and we will strategize a plan for adding specific items. I will provide you with a shop-able page of items you can order online to complete your capsule, or we can make a date to shop together in person. When your capsule is complete, you will have at least a month's worth of outfit combinations with your 40-piece wardrobe, and I will check in after a few weeks to see how the plan is working for you and what kind of revelations have come from your capsule experience. 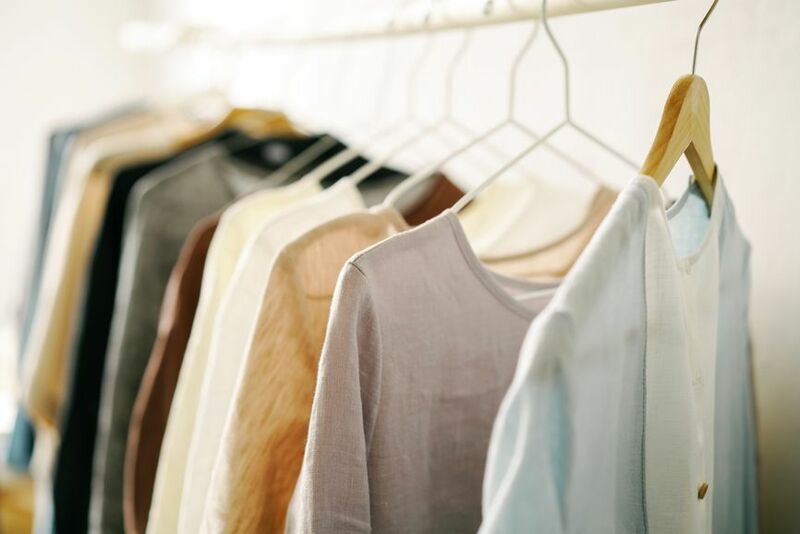 Your Capsule Wardrobe will get you through the season (about 3-4 months), and does not include accessories, so you will have freedom to play around with your wardrobe until you get bored or the weather changes! Are you ready to clarify, strengthen, & streamline, and your personal style?